Having to deal with automated assistance during call center exchanges is not fun. How is that for an understatement. We tried to dive as gently as we could. Google is on the case—eager to see in what manner its AI knowhow might increase efficiencies in call center processing but at the same time mitigate the customer's crankiness. Long waits and pauses and discomfort over whether the right menu number was even pushed to reflect the concern have chiseled away at public perceptions of call centers. Tech-watching sites have now sent reports of what went on at Google's Cloud Next conference this month, when details on its call-center focus were shared. Call center experiences could get better as a result. Developers will now have an opportunity to build better call center solutions. In brief, new updates in a toolkit for call center use have been worked up for its Google Cloud Contact Center. Is Google out to make employed people at the centers jobless? Actually, the technology aims for added efficiency without the human overthrow. BGR said, "The idea here is to use Contact Center AI to field customer calls, and if the virtual representative is not able to successfully handle the call, it can pass the customer over to a human agent." If Google really has met the mark is making human discretion sympatico with AI, then this would be a good improvement. This might be, as I Programmer worded it, "a win-win situation for customers, companies, and their employees." Fei-Fei Li, Chief Scientist, Google AI, published a blog posting on July 24 about enhancing the contact center experience. The way she positioned is Google is not out to change the way call centers work but to use AI to enhance how the centers work. We have heard resonating messages like this in the past, to promote the use of AI as something beneficial to the human workforce. She referred to "intelligent tools that offload repetition and support human strengths like creativity and problem solving." Google's team fleshed out the contact center problems that could be addressed by technology. "When we studied the challenges faced by real contact centers every day, we found that customers often have simple transactional or informational requests. For contact center employees, this can mean repetitive work, increased pressure on caller turnover, and less time to solve complex problems. For the callers themselves, it can mean frustrating menus, longer hold times and a diminished experience overall." They thought in two columns, customers and call center employees. Fei-Fei Li announced new capabilities to Dialogflow Enterprise Edition, to get the AI party started in the improvement initiative. What is Dialogflow Enterprise Edition? She defined it as their "comprehensive development suite for building conversational agents." So, what are the new touches? They added Text to Speech capability via DeepMind's WaveNet and the Dialogflow Phone Gateway for telephony integration. Icing on cake are "additional capabilities that are particularly useful for contact centers." This is what Contact Center AI is all about. As important, the focus is on developers who can build AI-powered virtual agents for the contact center. 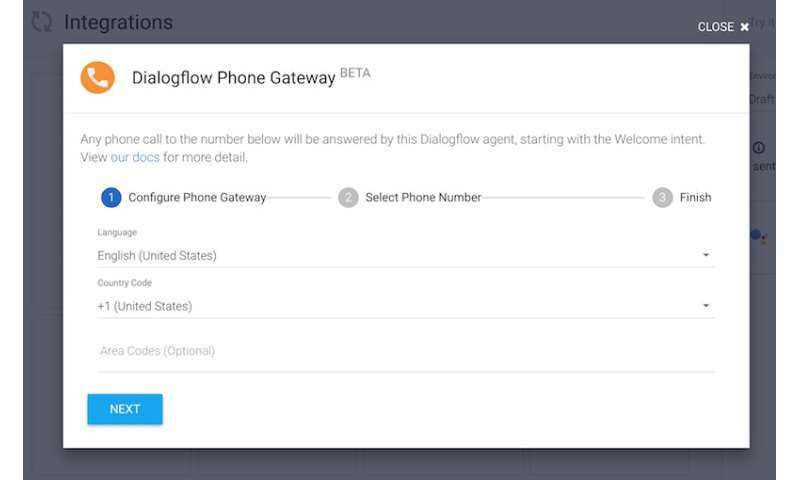 To be sure, the very impetus for the Dialogflow product is to help developers build AI-powered virtual agents for contact centers. 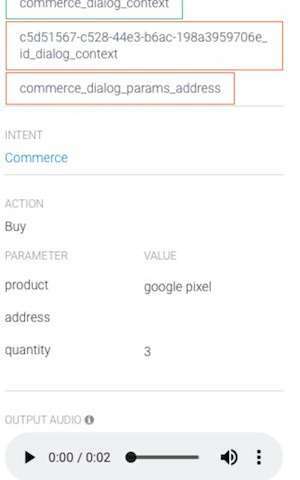 Dan Aharon, Product Manager, Dialogflow, and Daryush Laqab, Product Manager, Contact Center AI, meanwhile, took to the Google Cloud site on July 24 and talked about Dialogflow. It was created to help developers build interfaces that offer engaging interactions Why a community of more than 600,000 developers likes working with it: they can deliver natural, cross-platform conversational experiences without needing expertise in natural language processing or AI. Moving forward,I Programmer said that the Contact Center AI was now in alpha; there is a form to complete to request access. This the form from Google which it said is for customers. "Sign up to request access to the Public Alpha for Contact Center AI." "Contact Center AI Alpha Intake Form. Thank you for your interest in Contact Center AI Alpha. To express your interest in Contact Center AI alpha, please complete and submit this form. Google through a third party may contact you to partake in the Contact Center AI alpha. Applying does not guarantee admission, and information submitted via this form may be used for market research as well as be sent to authorized third party contact center AI partners." Google is working with a number of Contact Center AI partners—including Appian, Chatbase, Cisco, Five9, Genesys, Mitel, Quantiphi, RingCentral, Twilio, UiPath, Upwire, and Vonage—to engage around the responsible use of Cloud AI. For example, (1) disclosing when customers are talking to a bot, and (2) education around issues such as unconscious bias. Aside from helping developers with building tools, Google' s technology could change public perceptions of call centers as groan festivals.